Posted in Anti-Semitism, Blog, Combating Hate, Europe & OSCE, Holocaust, International. Q1: Take us back to when you first discussed the idea of this trip. How did it come about? The anti-Semitic incidents that have occurred over the last six to eight months in Brooklyn were due to, at least partially, this same lack of communication and understanding of “the other”. Piecing these thoughts together caused me to start developing ideas to help this community experience Jewish life and history with all the senses, in a way that can’t be done in a museum. 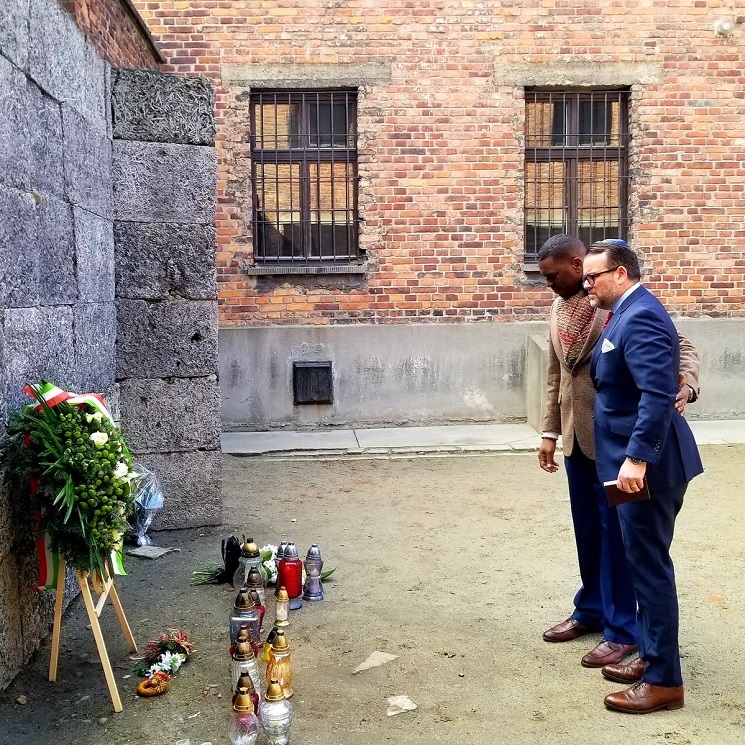 I had the idea to bring pastors to Auschwitz-Birkenau because of the magnitude of that place, and its significance to Jews of this generation. The only person that came to mind to co-pilot a model for this trip was Pastor Monrose. I wanted to bring someone that was a friend and wouldn’t be afraid to share in the experience with utmost honesty. PM: I didn’t know the type of emotions I would feel when visiting the concentration camps, ghettos and other sites around Poland where death and destruction is so palpable. The image of a mirror comes to mind, in that I felt in Poland the same way I feel when I visit places of my own people’s dark history. Within the suffering of the six million who were murdered, I see similarities with the black experience. 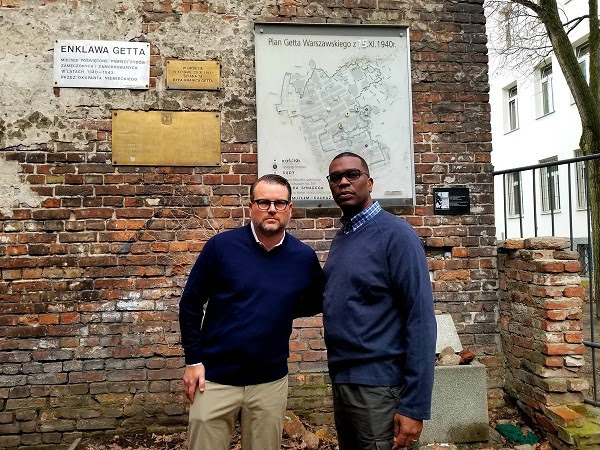 At the same time, it felt refreshing to be able to visit the Holocaust memorial sites and know that the Jewish people triumphed. The Jews rose again and here we are, going back to a place that was designed to cut off their lineage. 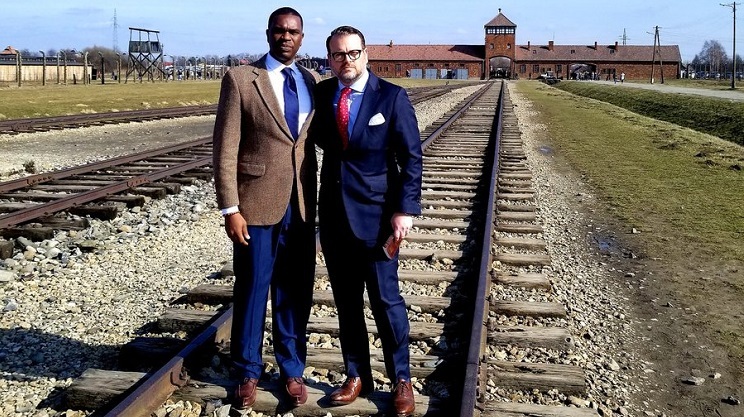 EB: One spiritual moment that immediately comes to mind was at the end of the tracks at Birkenau when Pastor Monrose and I were praying alongside each other. Our prayers sounded different, but they came from the same source in our heart and soul. In these moments throughout the trip, when we prayed for the 6 million, we felt extremely connected. You can learn more about the work of Pastor Gil Monrose’s work at the Office of the Brooklyn Borough President Eric L. Adams at https://www.brooklyn-usa.org/.